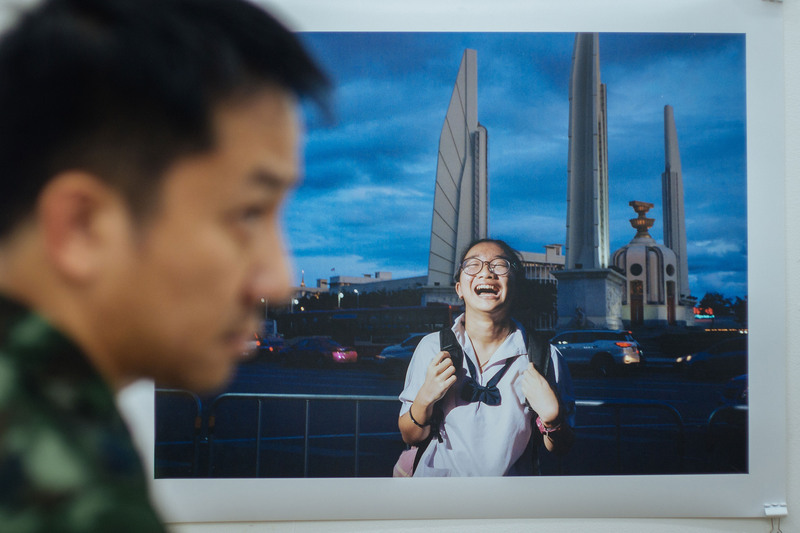 Peering critically into the not-too-distant future, four Thai filmmakers imagine what life will look like in their country after another decade of military junta rule. The results vary in style and tone, oscillating between fantastic neon dystopias to unnervingly subtle portraits of top-down oppression. Connecting each distinct narrative is a deepening sense of anxiety felt between those striving to sustain individuality and violent government institutions threatening to compromise basic human rights and artistic freedom. Director Aditya Assarat’s calmly effective melodrama follows one young police cadet who gets swept up in flirtatious exchanges while his fellow officers harass the curators of a new art gallery. Shot in black and white, the short slyly critiques the blissful ignorance of those who blindly follow orders. Wisit Sasanatieng’s entry is an altogether more blunt object, envisioning a nightmarish landscape where feline-faced fascists hunt down the remaining humans hiding in plain sight. 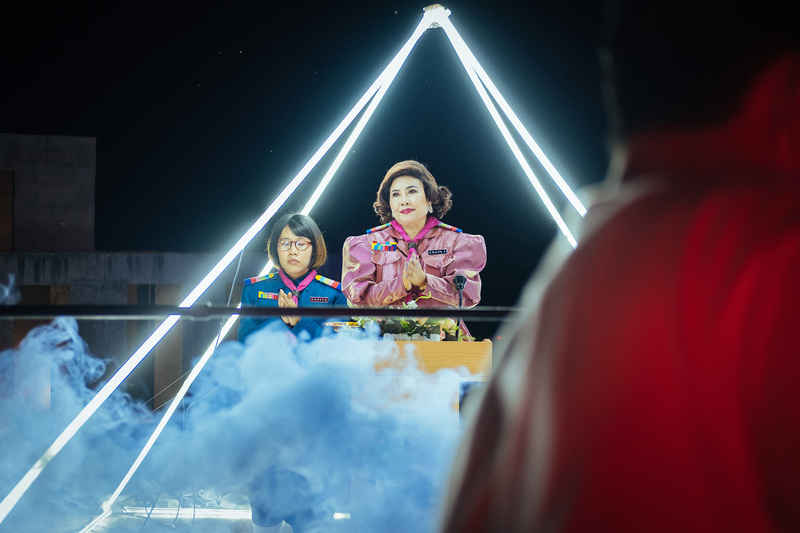 Neon windmills, child soldiers, and probing telescopes all feature heavily in Chulayarnnon Siriphol’s insanely surreal study of hierarchical autocracy. 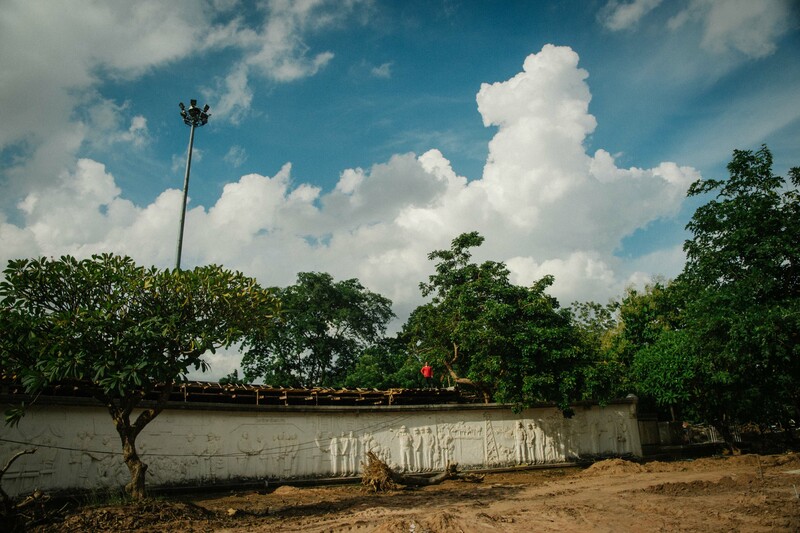 Finally, Apichatpong Weerasethakul closes out this engaging anthology film with a rhythmic examination of spiritual and cultural excavation set entirely at the site of a sacred statue.